Jessica Miller doesn’t shy away from the notion that she’s overwhelmingly grateful to God for bestowing upon her an array of blessings. Amongst those who highlights her grandest of blessings: her newlywed husband, Daniel Miller. Having exchanged nuptials on November 10, 2018, amongst the Millers’ notable achievements is continuing a credible business venture that Jessica Miller started some three-and-a-half years ago in Humble, Texas. IN GOD’S TIMING — A couple who resides in Newark, Delaware, Daniel and Jessica Miller are co-owners of Happy Hands & Feet Transportation. 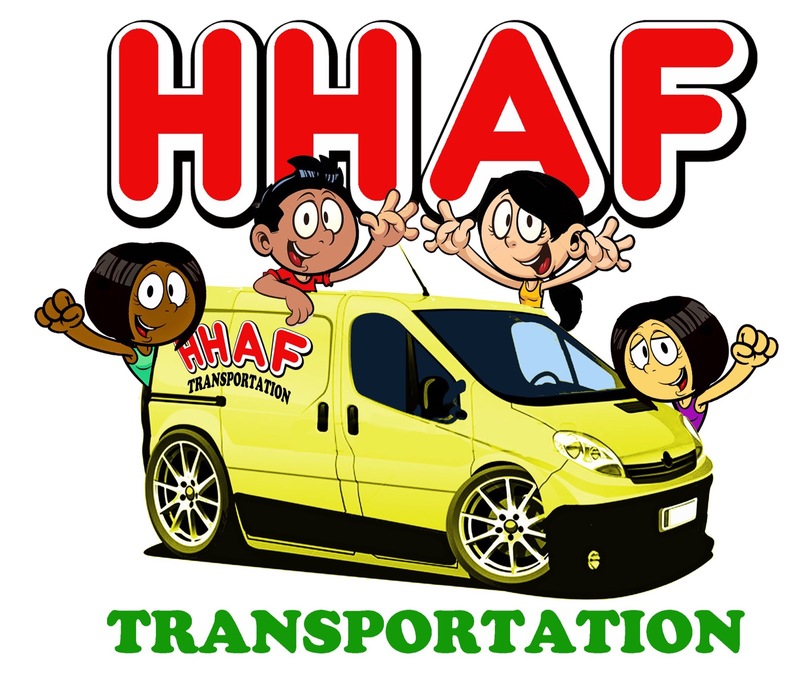 A business that went into full operations in Summer 2015, Happy Hands & Feet Transportation is geared largely toward providing safe transportation service for children at a reasonably affordable rate. A couple who resides in Newark, Delaware, Daniel and Jessica Miller are co-owners of Happy Hands & Feet Transportation. 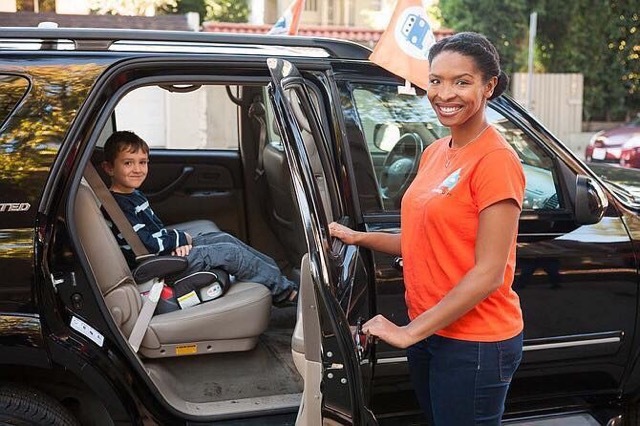 A business that went into full operations in Summer 2015, Happy Hands & Feet Transportation is geared largely toward providing safe transportation service for children at a reasonably affordable rate. 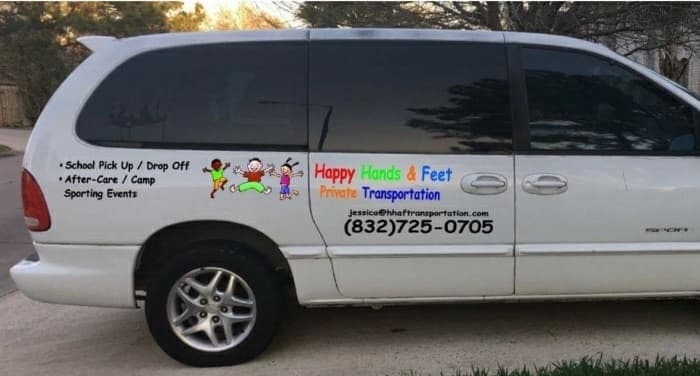 A distinctly unique business that is nearing its fourth year of existence, Jessica Miller acknowledged that Happy Hands & Feet Transportation is extremely ideal, considering it allows her the keen flexibility, particularly as it relates to attending church regularly and spending quality time with family. Especially now that she’s a newlywed. FAMILY FOCUS — By and large, it is due in large to love and support Jessica Miller routinely exemplifies for her family that has fueled her fervent desire to start a transportation business that figures to have similar success in Delaware. 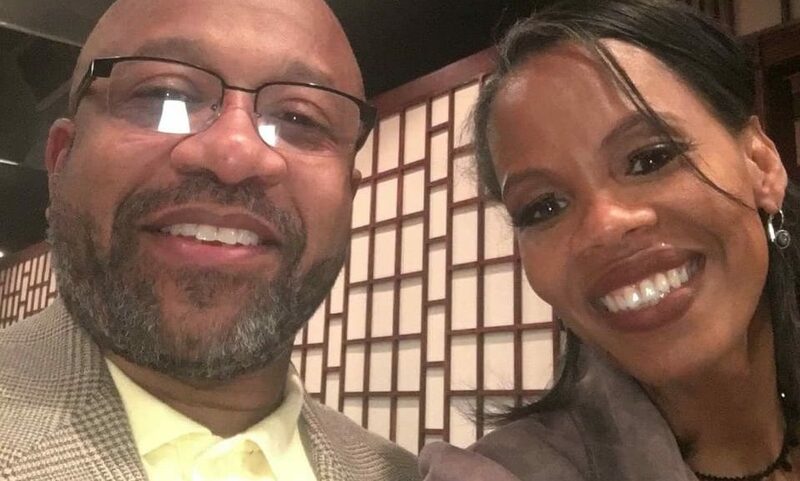 Together, not only has this couple — whom, prior to tying the knot, had been separated by 1,518 miles — formed a solid, Christian-based union, but their unyielding love has inspired them to collectively establish what could appropriately be dubbed Happy Hands (North) now that a second location is in operations. SOLID SUPPORT — Interestingly, now that she’s been blessed to marry a big-hearted, godly man who understands the importance of loving his wife as Christ loves the church, it’s safe to assume Happy Hands — North — best and brightest days are well ahead of it. The Millers, by all accounts, are especially giddy to have relaunched Happy Hands in Delaware, considering Jessica Miller had built a solid clientele in her native establishment, during which she customarily provided services for over 70 families in Texas. “It’s my passion,” said Jessica Miller, summing up her excitement for the second location of her the family business. DOING IT GOD’S WAY — The Millers, by all accounts, are especially giddy to have relaunched Happy Hands in Delaware, considering Jessica Miller had built a solid clientele in her native establishment when she customarily provided services for over 70 families in Texas. 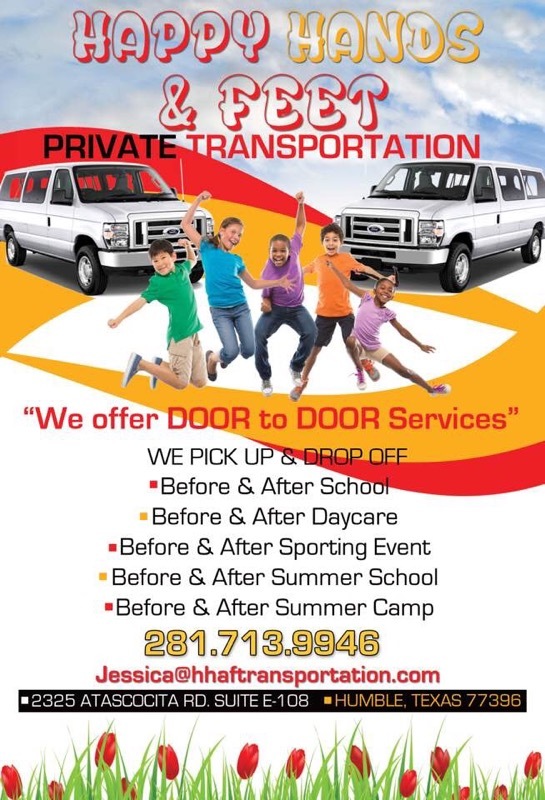 More than anything, though, Jessica Miller said a transportation business of this nature is ideal, in large part because it provides what she describes as safe and dependable door-to-door pick up and drop off transportation services. TREND SETTER — A distinctly unique business that is nearing its fourth year of existence, Miller acknowledged that Happy Hands & Feet Transportation is extremely ideal, considering it allows her the keen flexibility, particularly as it relates to attending church regularly and spending quality time with family. In addition, Jessica Miller credits the founder of JMD Transportation, LLC, as well as It’s On The Way Delivery Services as other local businesses in Texas that have greatly helped enable her to fulfill her entrepreneurship endeavors. “God gave us all purpose and gifts in our life, especially to help one another,” Jessica Miller told Making Headline News during a March 2018 interview. By and large, it is due in large to love and support she routinely exemplifies for her family that has fueled her fervent desire to start a transportation business, one that figures to have similar success in Delaware. ALL LOCKED IN — More than anything, though, Jessica Miller said a transportation business of this nature is ideal, in large part because it provides what she describes as safe and dependable door-to-door pick up and drop off transportation services. Interestingly, now that she’s been blessed to marry a big-hearted, godly man who understands the importance of loving his wife as Christ loves the church, it’s safe to assume that Happy Hands — er, North — best and brightest days are well ahead of it. IN THE NEWS — “God gave us all purpose and gifts in our life, especially to help one another,” Jessica Miller told Making Headline News during a March 2018 interview. “And we know that in all things God works for the good of those who love him, who have been called according to his purpose,” Jessica Miller, reciting the familiar Biblical passage that is housed in Romans 8:28, said during a March 2018 with MHN. Because after all, Jessica Miller doesn’t shy away from the notion that she’s overwhelmingly grateful to God for bestowing upon her an array of blessings. Amongst those who highlights her grandest of blessings: her newlywed husband, Daniel — whom, much to her delight, just happens to be her most-celebrated business partner. 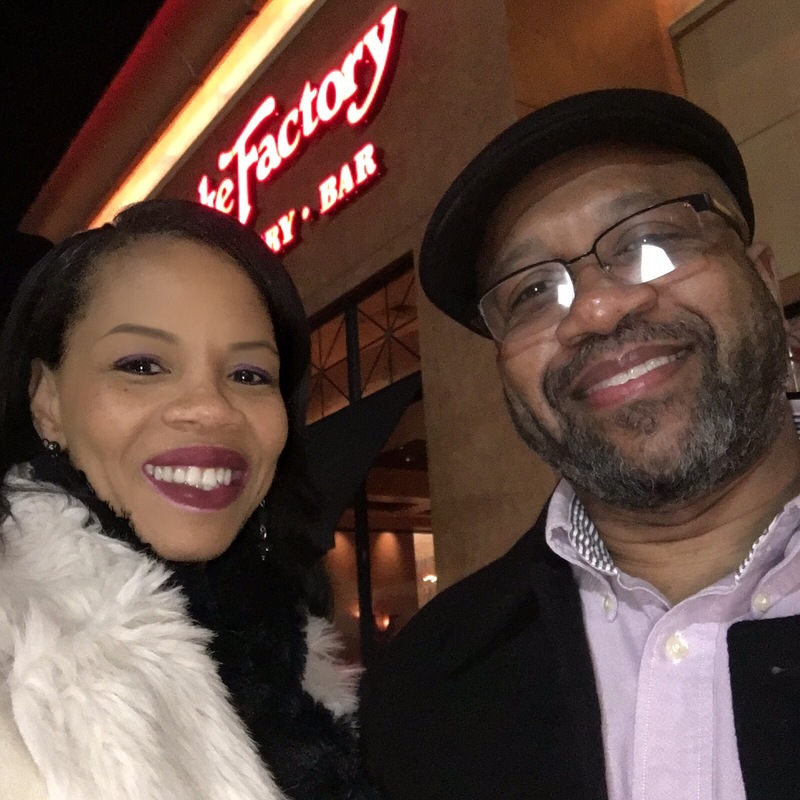 For more information about Newark, Delaware business couple Daniel and Jessica Miller of Happy Hands & Feet Transportation, call 832.725.0705. Also, send email to: Jessica@hhaftransportation.com.